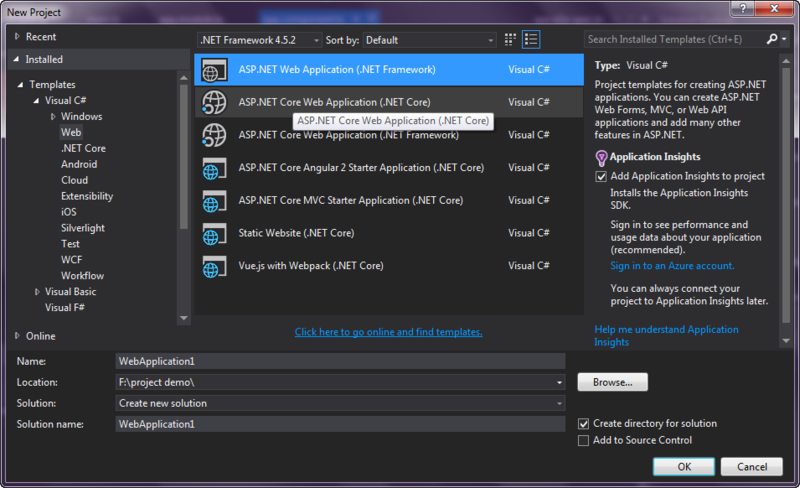 As a .net developer we always want that we can develop our application in Visual Studio IDE . So in this article our main focus is to add Angular2 with typescript project in VS IDE. Node.js ( greater than version 4.6. *) and (npm greater than version 3.*.*). Note : We need to configure External web tool as mention in the image. .To run an Angular2 without IDE we need two commandnpm install : this install all the required files in the project.npm start : to start the application.When we use Angular2 in IDE we don't need to use these command.Now we have all the dependent things installed so we can start to add Angular2 in VS IDEOpen new project ASP.NET Web Application (.net framework) and make sure the framework is 4.5.2. Select any template, here I have selected Empty template.Now go to the project location and copy the Quick Start project same place where you have your csproj file. Now go to the solution explorer and include these folder or file in the project under Quick Start. Now next step is to restore angular packages. 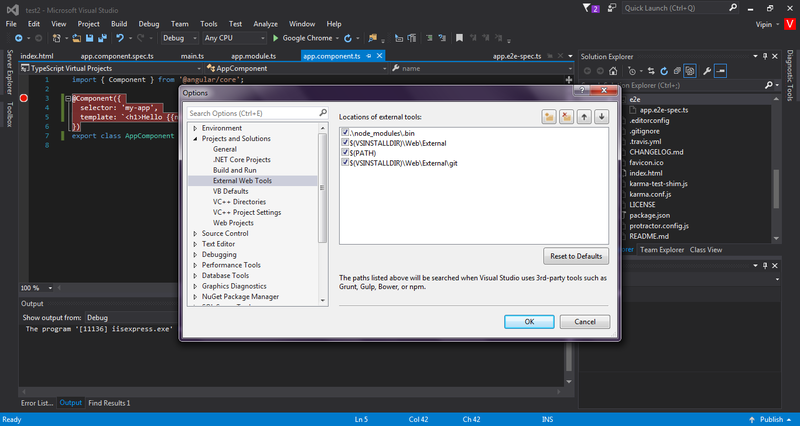 For that go to solution explorer and right click on package.json and select restore packages option. If that won't work than this can be done be done by using npm install command.Both the process take time as package take time to install.Now select Index.html as default page and run the application if all steps is taken care of than we have “Hello Angular” message in the browser.